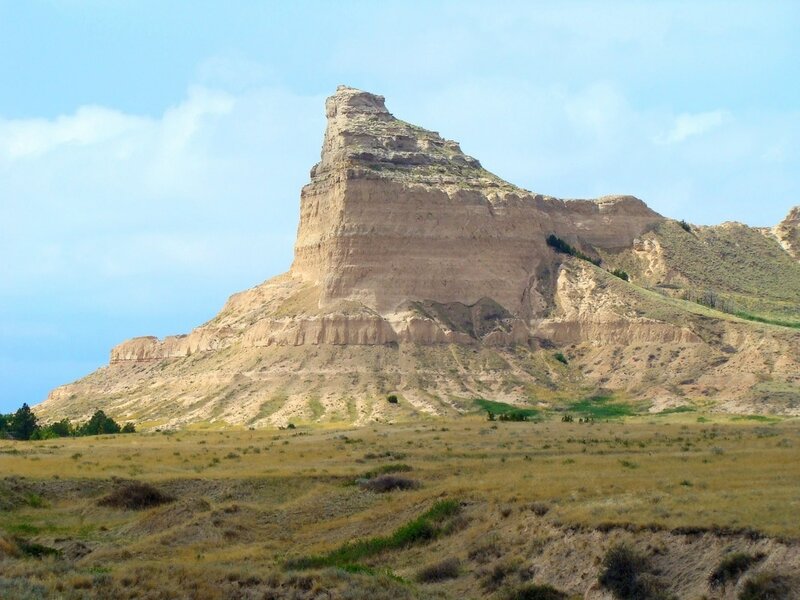 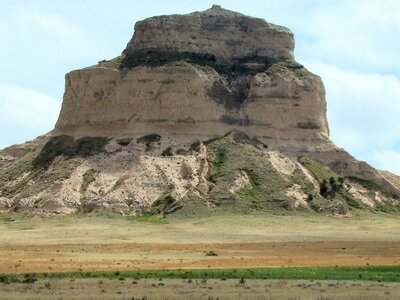 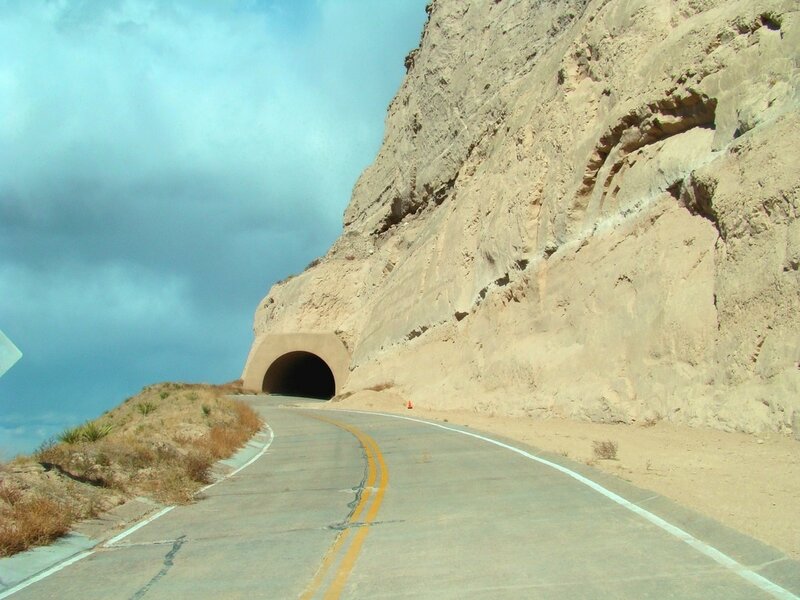 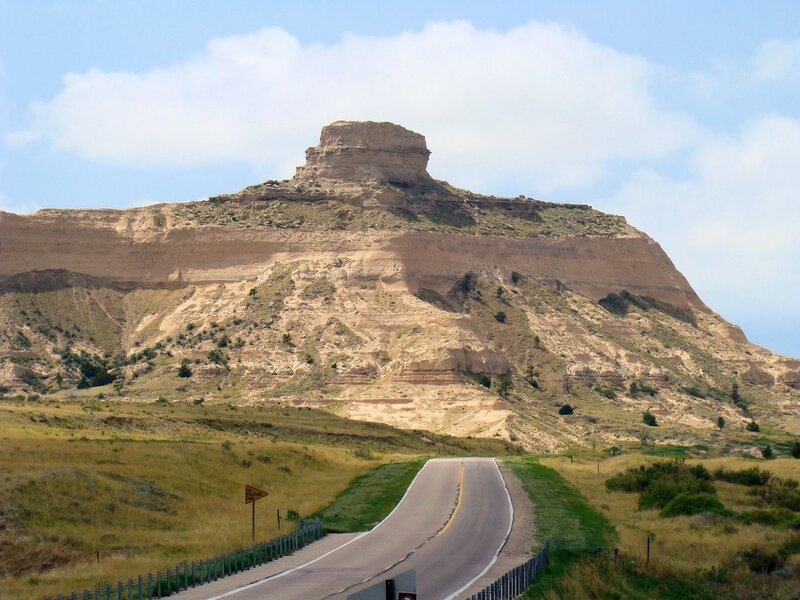 To get to Scott's Bluff National Monument, go south from Gering on Highway 71, then turn west on Highway 92. 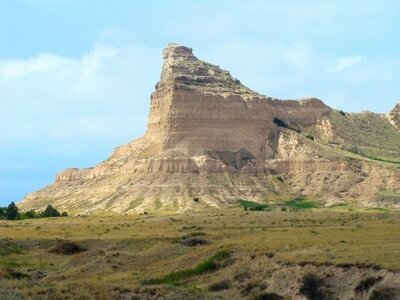 It is just a short drive to the Visitors Center, where you will find the trailhead for the Saddle Rock Trail. 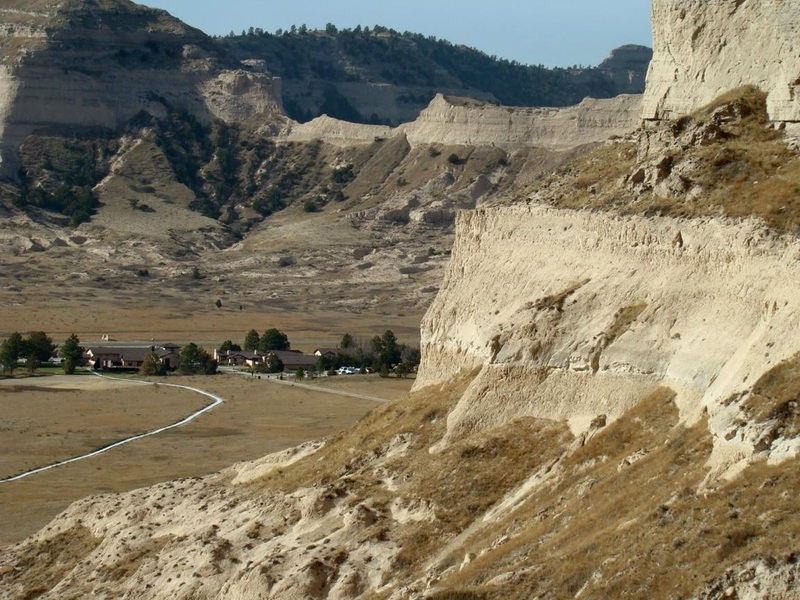 Visitors are required to pay an entrance fee for this historic site. 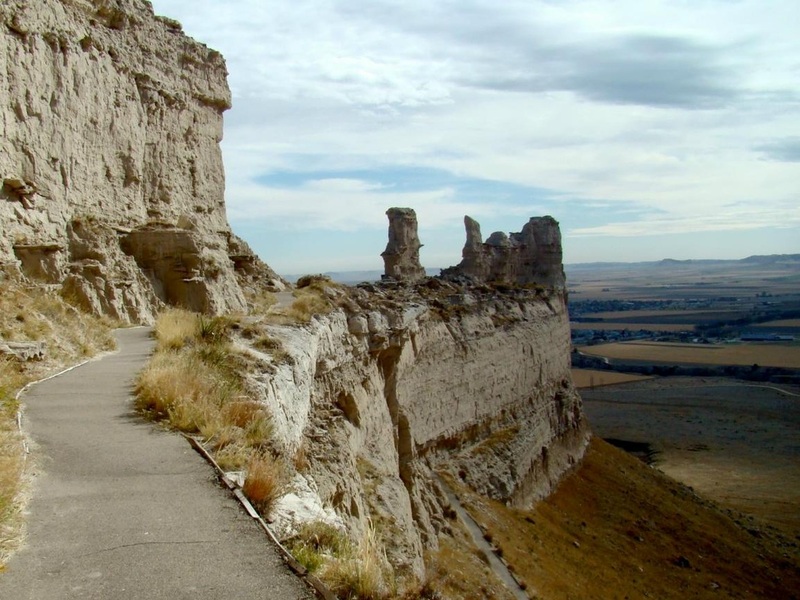 The trail to the summit is about 1.6 miles long and will take you over 400 feet higher than the Visitors' Center. 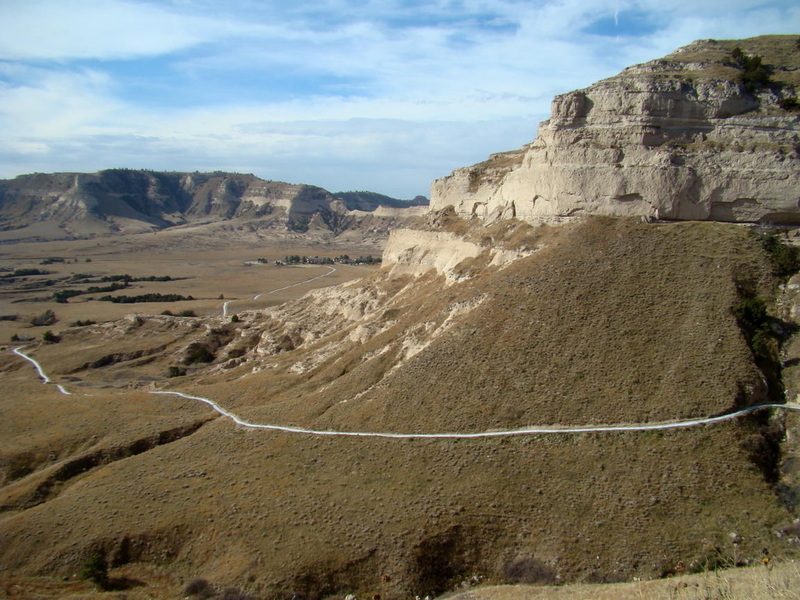 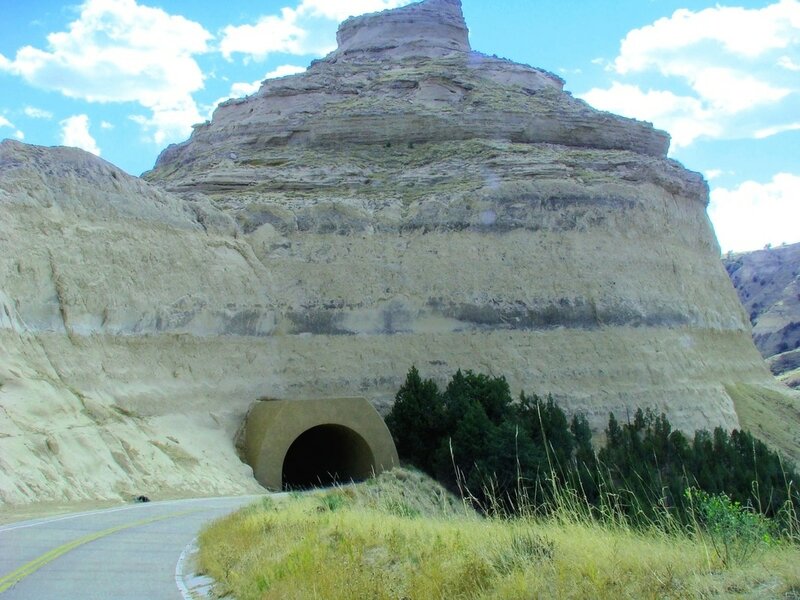 The trail is unique for western Nebraska hiking, because it is graded and paved, even having a tunnel to get from one side of the butte to the other side. At the summit, hikers will find spectacular views in all directions. 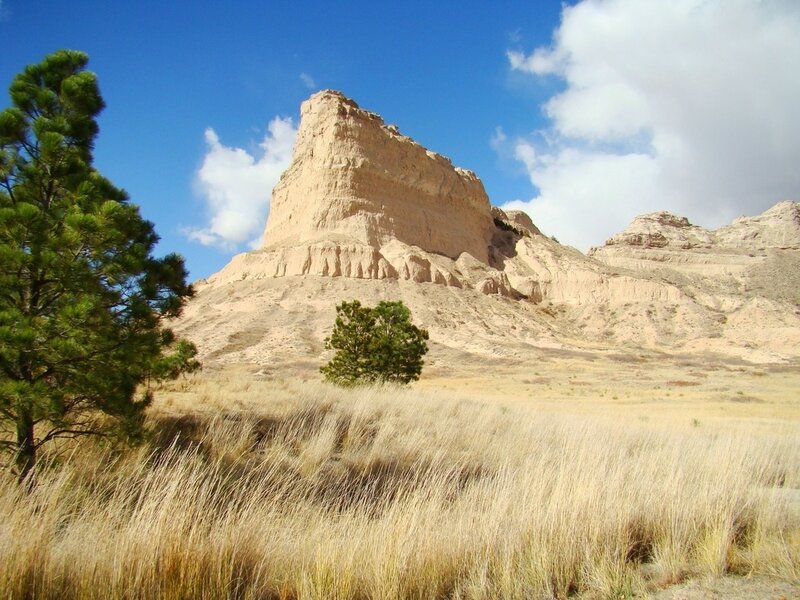 On clear days hikers can see Laramie Peak (10,272 feet), over 100 miles west-northwest in Wyoming. Though Scott's Bluff is one of the very steepest summits in Nebraska, the grade of the Saddle Rock Trail makes hiking to the top something that almost anyone can accomplish. 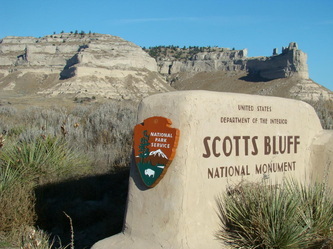 Most of the other summits at Scott's Bluff National Monument are off-limits to any climbing. 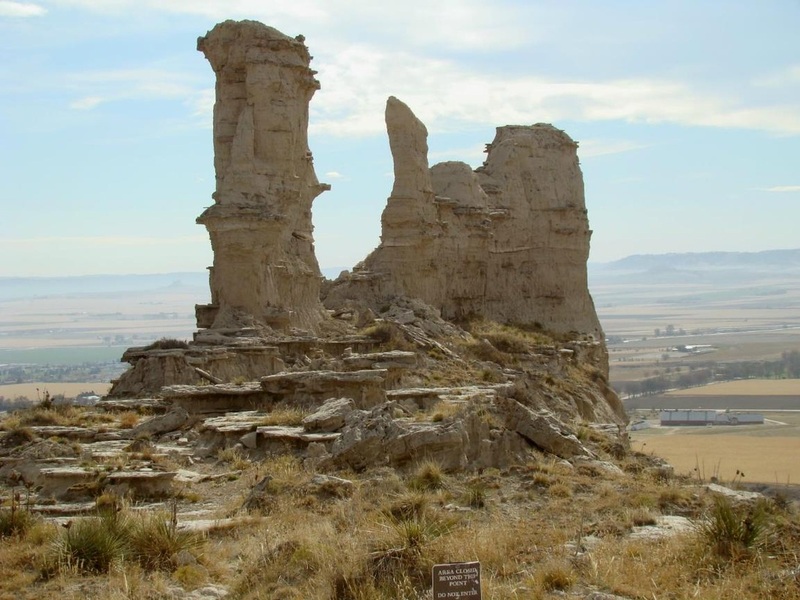 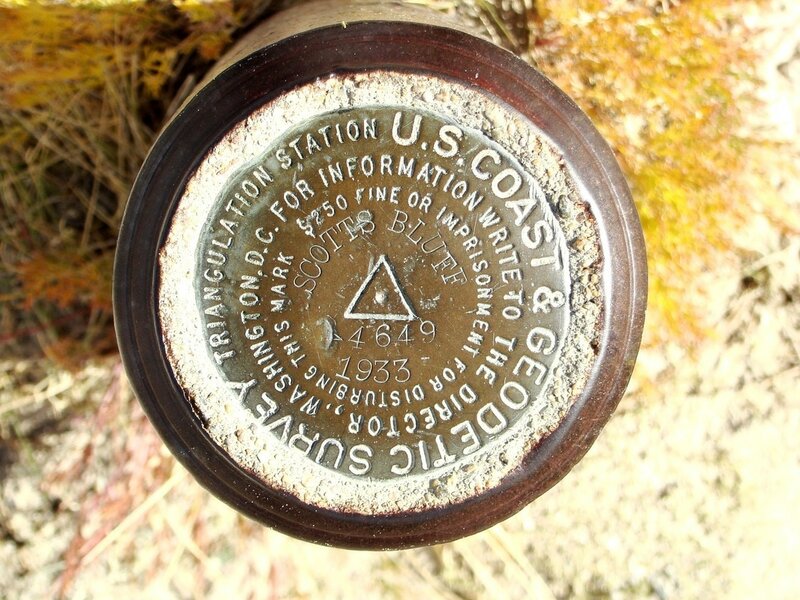 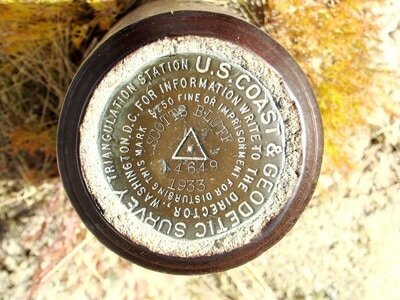 Monument officials' position on this is based on their concerns for the safety of both the summits and climbers. Great views along this trail!